Kids line up to help grind the apples into pulp at Auburn Civitan’s Apple Cider Booth. 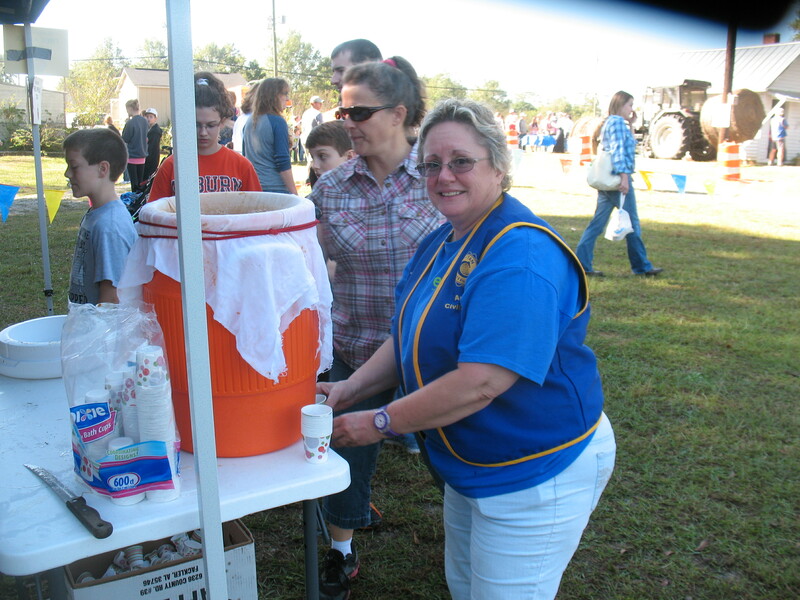 Past President of Auburn Civitan Club, Lynn Sylvester, serves freshly squeezed apple cider to guests. Every October, the Civitan Club of Auburn gives of its time and resources to help the Lee County Historical Society with its annual HISTORICAL FAIR held in conjunction with SYRUP SOPPIN’ DAY IN LOACHAPOKA. It’s part of the club’s community service projects. This year’s event was held on Saturday, October 18. With perfect fall weather, an estimated 10,000 people visited Pioneer Park in Loachapoka to enjoy the historic venues. Civitan’s contribution was an old fashioned “Apply Cider Booth”. Children and those who want to be children again could grind apples and squeeze the pulp to make delicious, fresh apple cider for all to enjoy. The cider was free for the labor. Fifteen bushels of Alabama-grown apples were processed into cider and at the end of the day, not a cupful was left over. 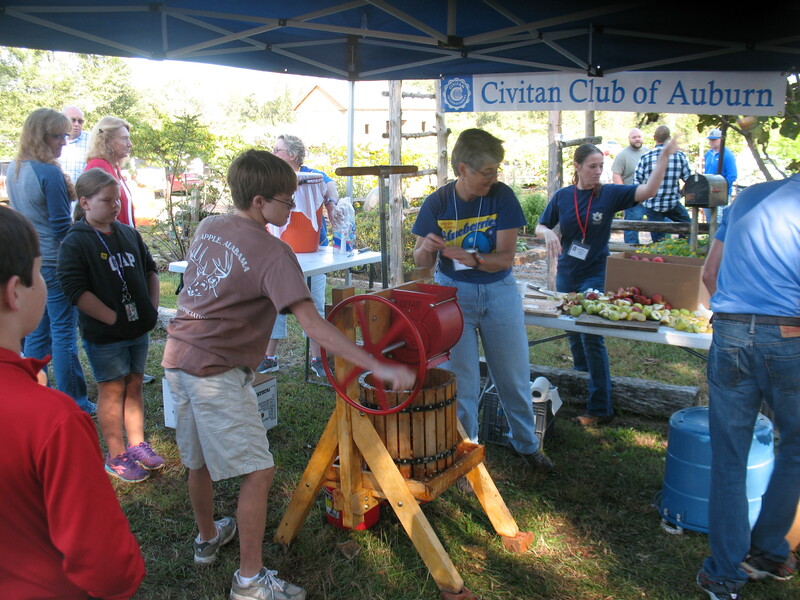 An estimated 3200 visitors enjoyed fresh apple cider and had a chance to interact with Auburn Civitans. Club President, Kirk Iversen, said this was a great way to reach out in community service and let folks know that Civitans have a lot of fun volunteering. This entry was posted in Service Projects and tagged Lee County Historical Fair, Pioneer Park on October 22, 2014 by kviversen.